Send a letter to your newspaper. Make your voice heard. If you don't speak up, who will? 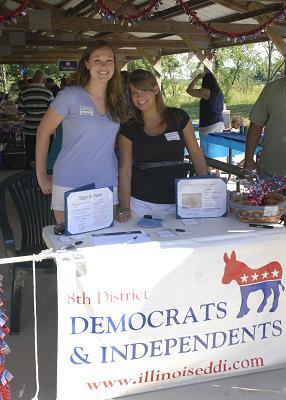 EDDI offers Democrats and independent voters a speakers program, meet-the-candidate forums, parade participation, a picnic in the summer and a chance to make your voice heard. Our meetings and events give you the opportunity to participate in the political process in Illinois's 8th Congressional district -- at national, state and local levels.